Born Kim Sang-gu, Seo Jun-young is a Korean actor. He’s been active since 2004, but rose to prominence with his role in coming-of-age film Eighteen in 2010 and the year after with his role as Dong-yoon in the award-winning indie drama, Bleak Night. He finished out an enormously successful two years with the period drama Deep Rooted Tree. Seo Jun-young didn’t disappear after his first successes, and has been steadily working since in television dramas and films. He was one of the main cast in the popular comedy series Super Daddy Yeo this year, regularly appearing in as many as three dramas per year. With that much work, it’s easy to imagine that Seo Jun-young is always on the move. Messenger bags are great for people who do a lot of commuting, such as this great John Peters New York messenger bag Seo Jun-young has in the below picture! John Peters New York has a great range of backpacks and messenger bags in a variety of styles and colors. They are perfect for students of all ages and young professionals, which is exactly what Seo Jun-young is! 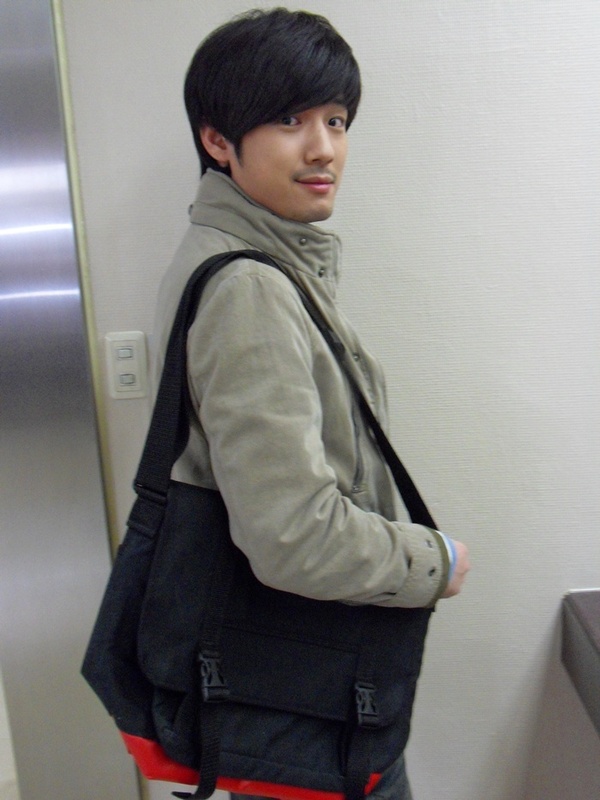 And either way, we think this messenger bag makes him look very handsome and smart…! Share the post "Seo Jun-young’s great messenger bag"
Posted in CELEBRITY'S PICK and tagged seo jun-young, seo jun-young backpack, seo jun-young bag, seo jun-young fashion, seo jun-young style. Bookmark the permalink. What’s the deal with waxed canvas bags?